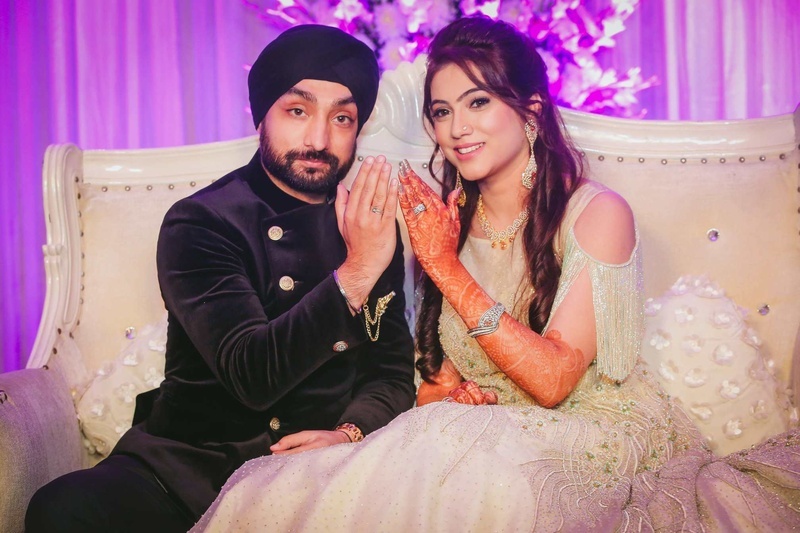 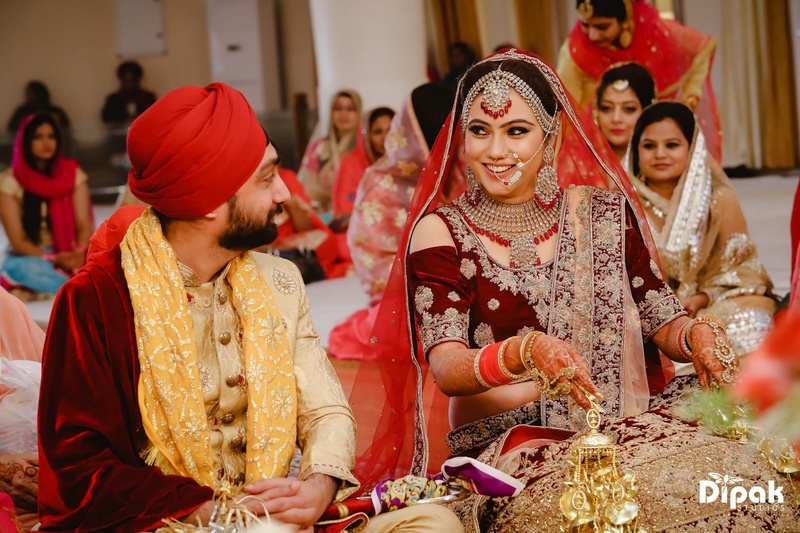 Manjot and Sadeep got hitched at JW Marriott, Chandigarh and you won't believe her bridal pictures! 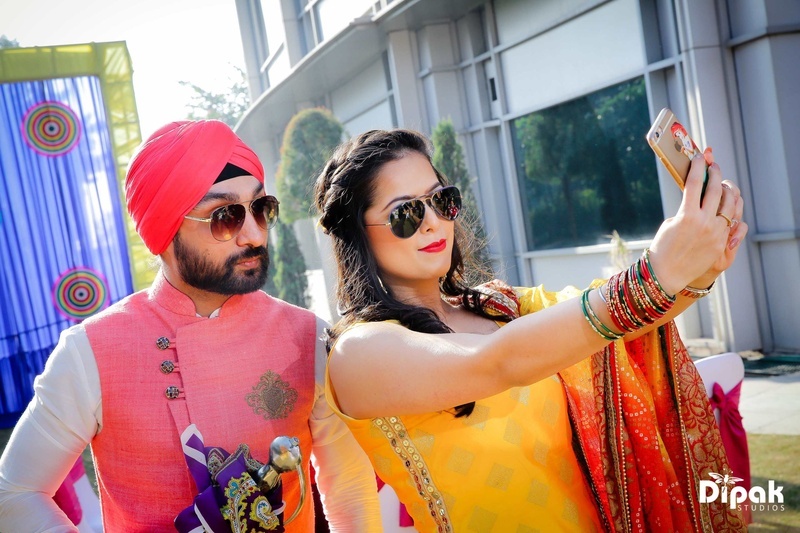 Manjot and Sandeep, just got hitched in the most colorful and truly punjabi wedding at JW Marriott, Chandigarh! 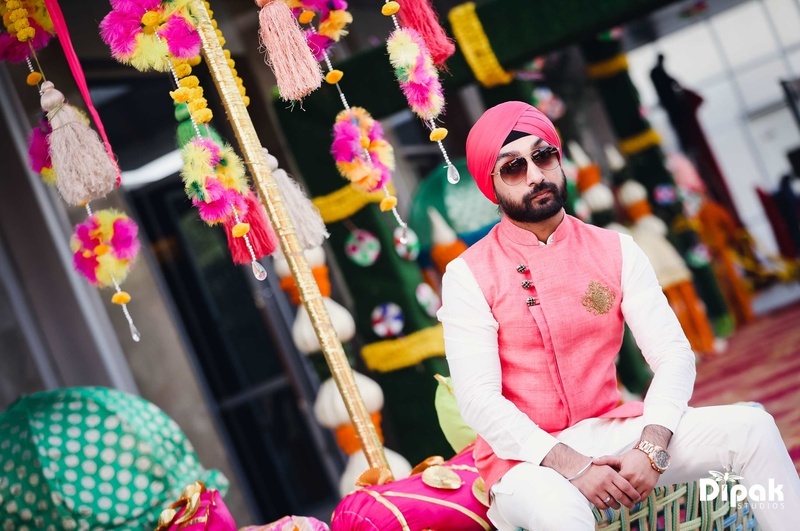 From a mehndi ceremony that was a riot of colors to the most gorgeous reception outfit, this wedding has probably been the most beautiful and quirky wedding! 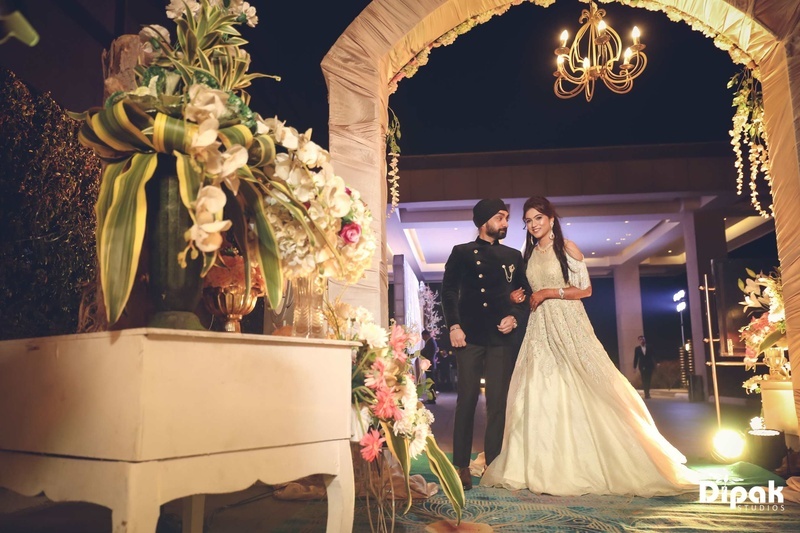 Choosing their home destination of Chandigarh, the couple picked JW Marriott for it's perfect blend of classic nostalgia and outdoor luxury. 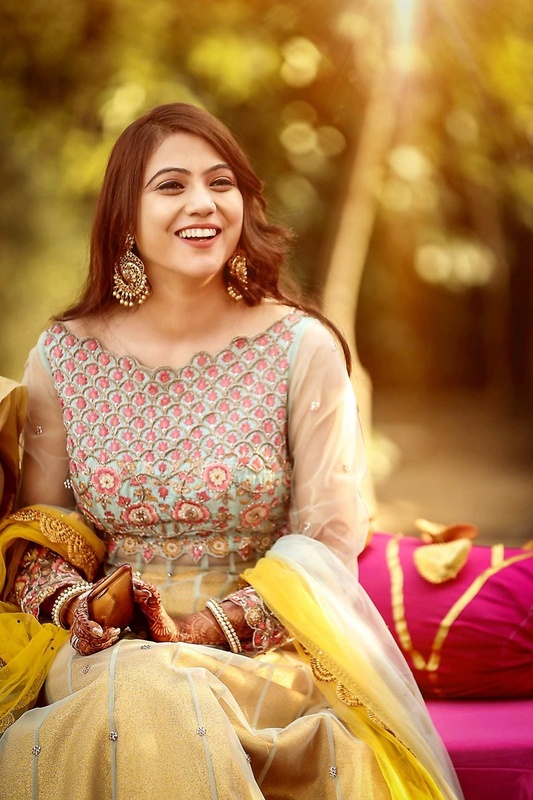 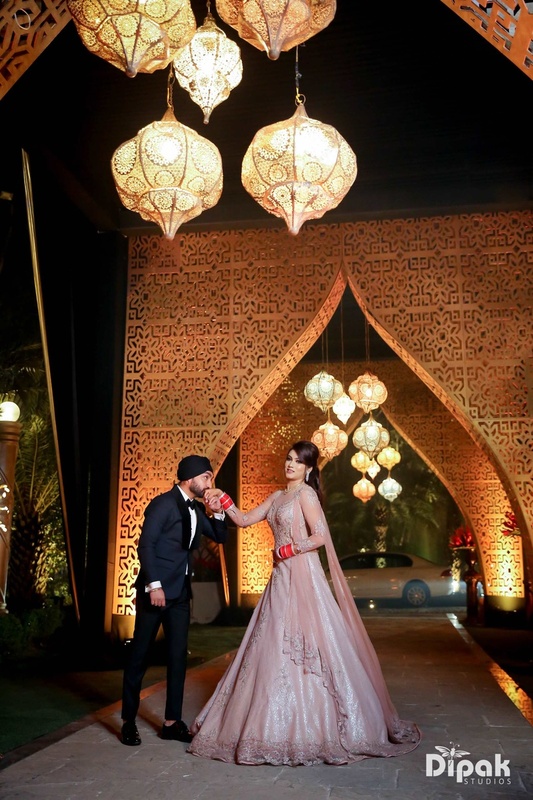 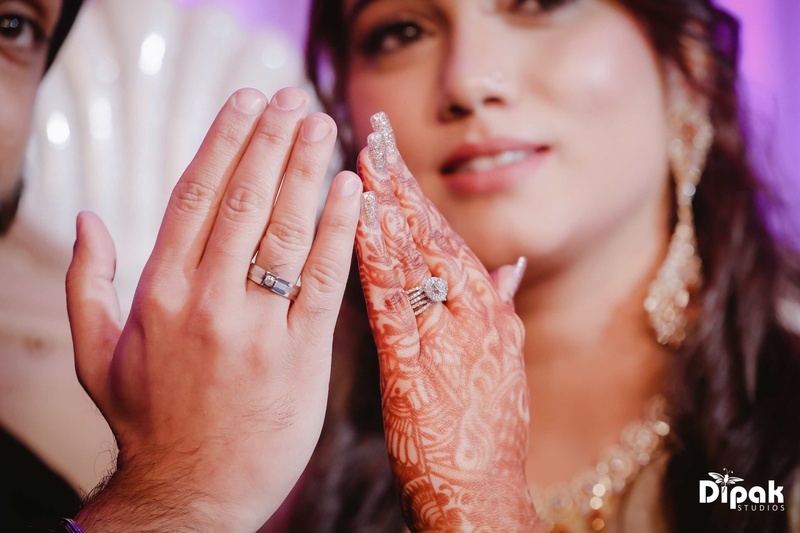 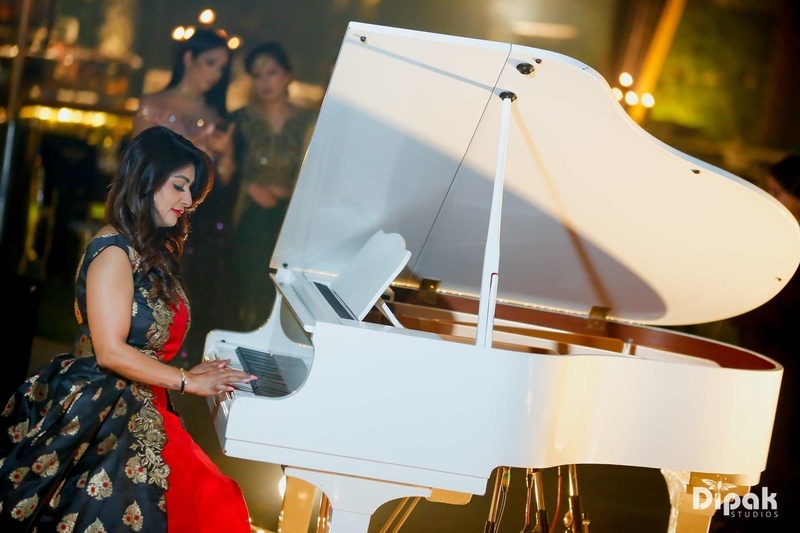 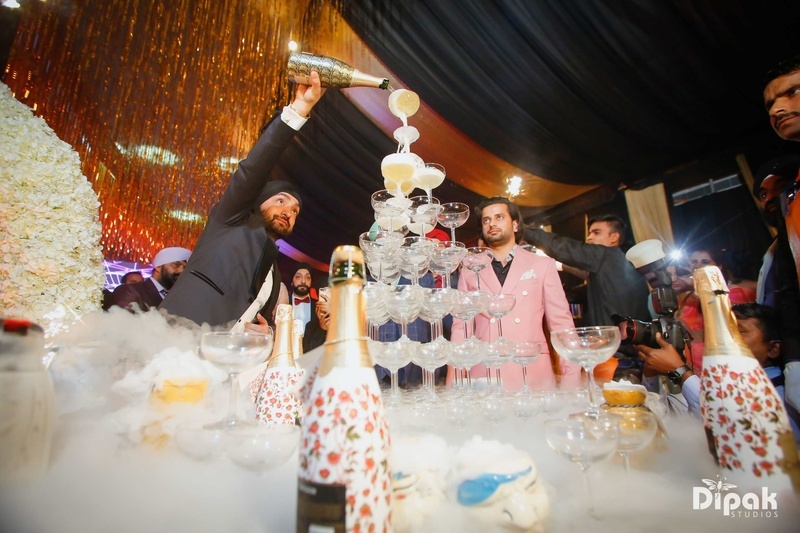 From a quirky and quite Bollywood-esq mehendi, and elegant Sangeet function at JW Marriott, Chandigarh the venue provided them with the atmosphere and look that suited the couple. 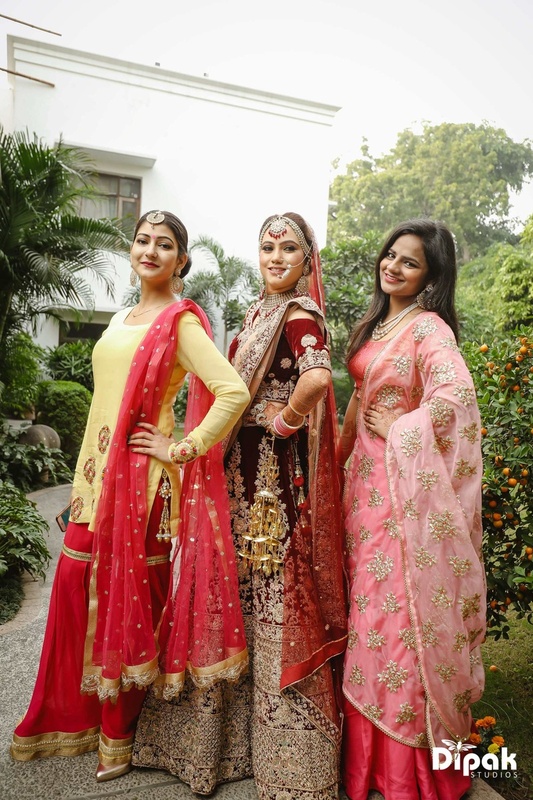 The mehendi function was held in the venue's courtyard, and the decor a vibrant mix of bright colored fabrics and natural floral bouquets of genda phool. 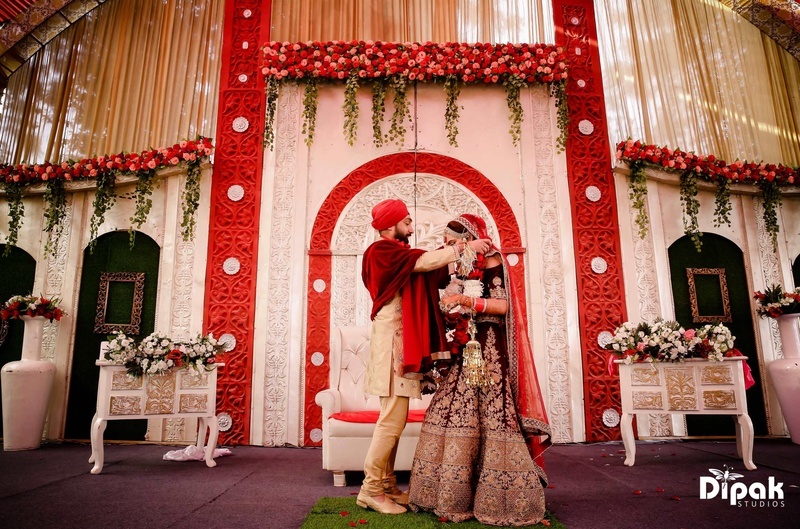 There were photo booths, sumptous food, game centres and pretty litle corners which made the entire environment traditional and lively. 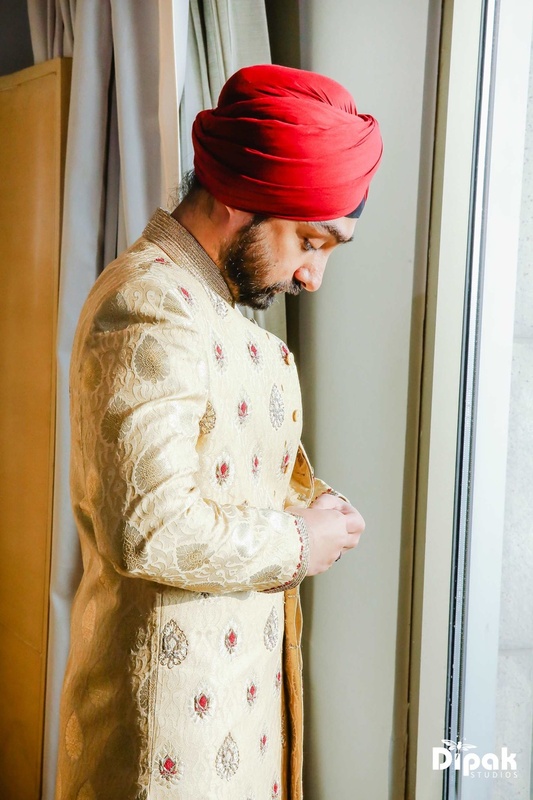 Although JW Marriott was alive with the sounds of laughter and color and dance, what we couldn't get our eyes off of, was the bride's beautiful photos! 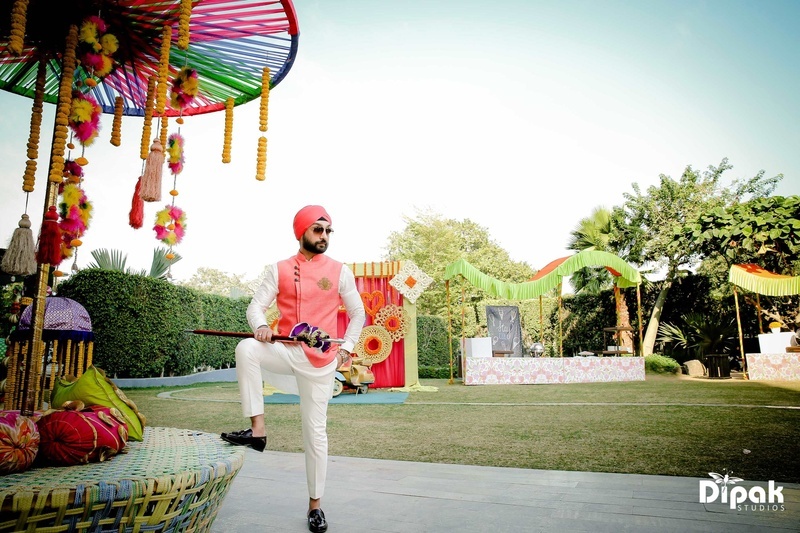 This has to have been one of the happiest mehndi functios at JW Marriott, Chandigarh. 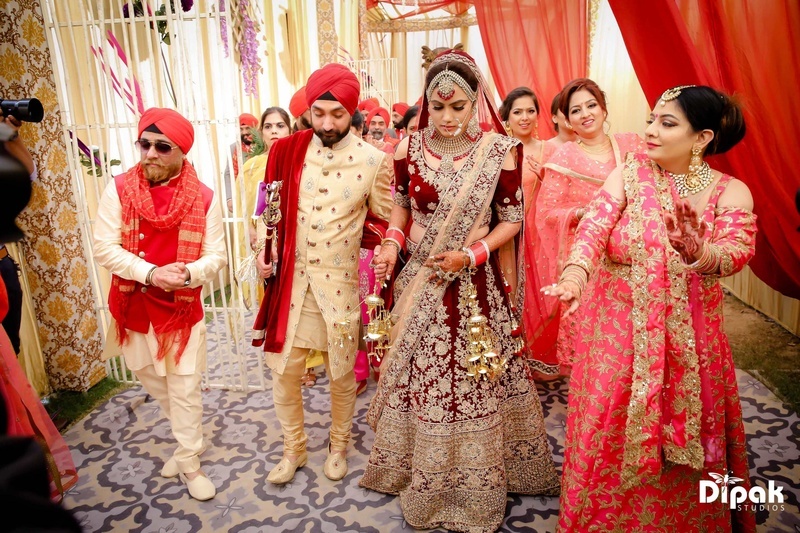 It was a wedding fit for royalty! 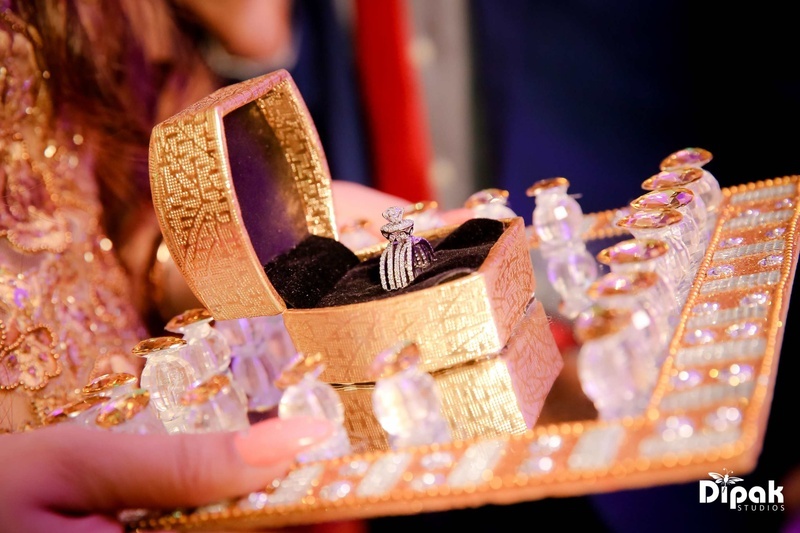 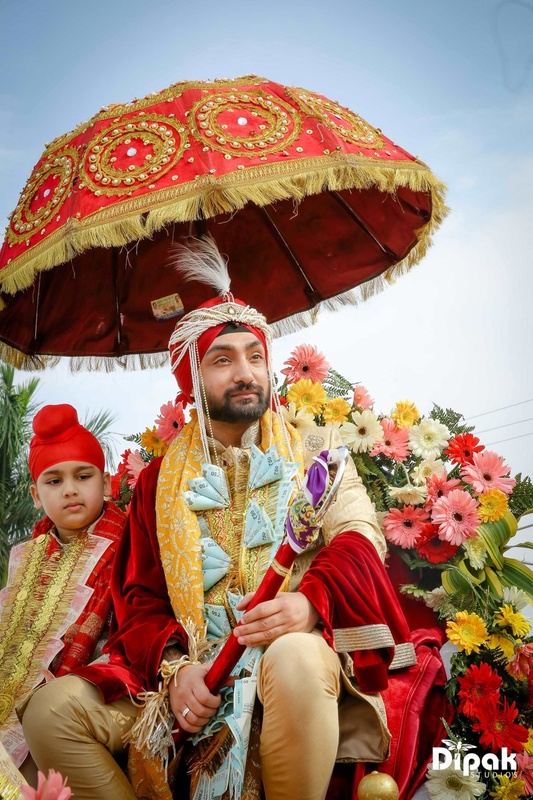 Manjot and Sandeep both wanted a regal wedding and had a number of palaces in mind. 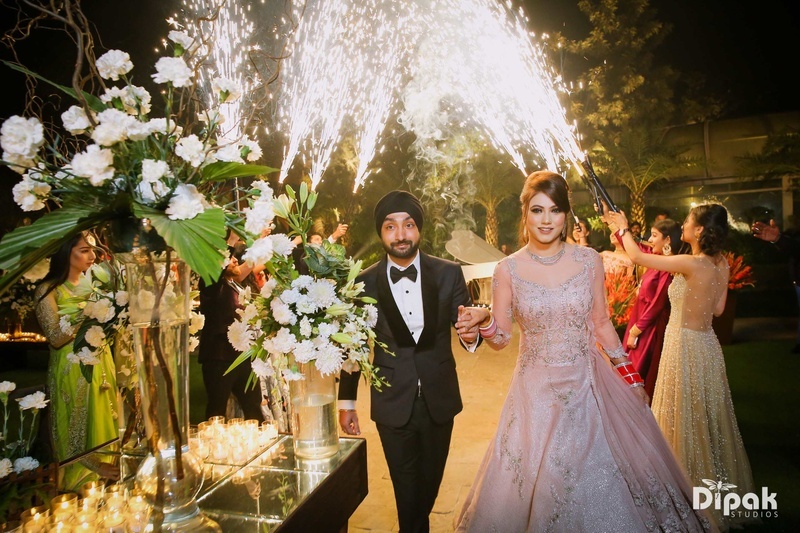 They wanted an elegant and beautiful wedding in their home town, which is how they came to choose JW Marriott, Chandigarh. 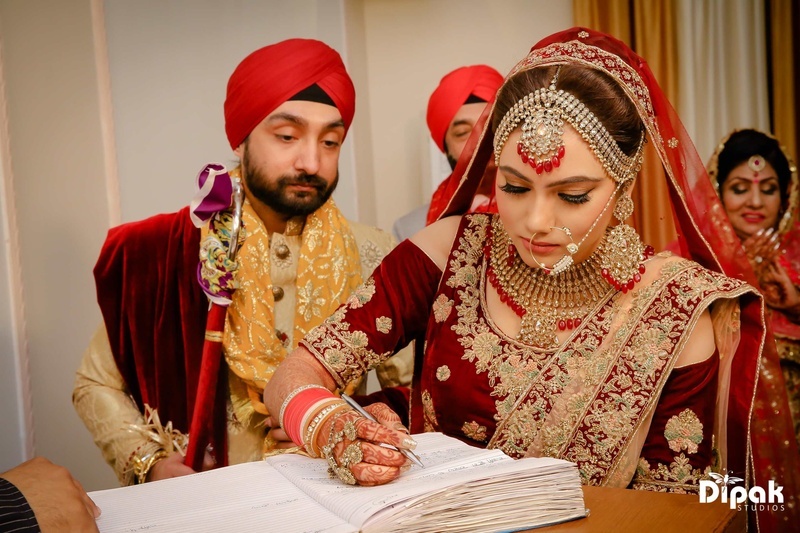 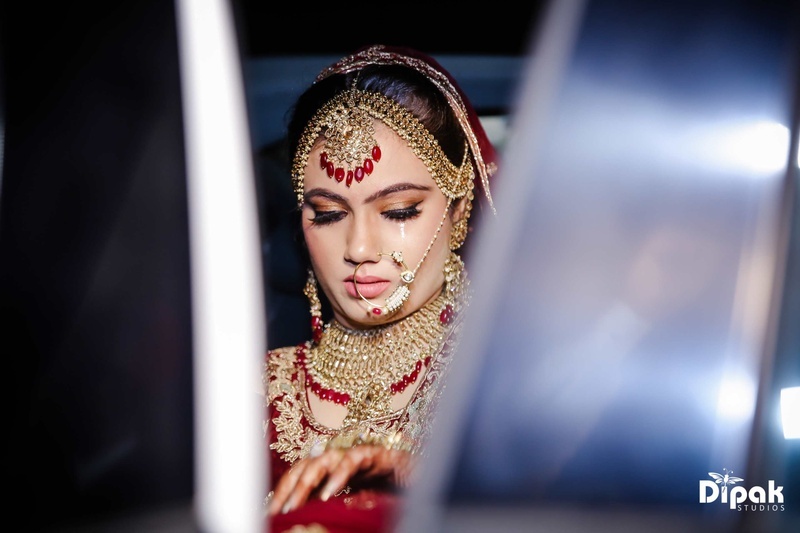 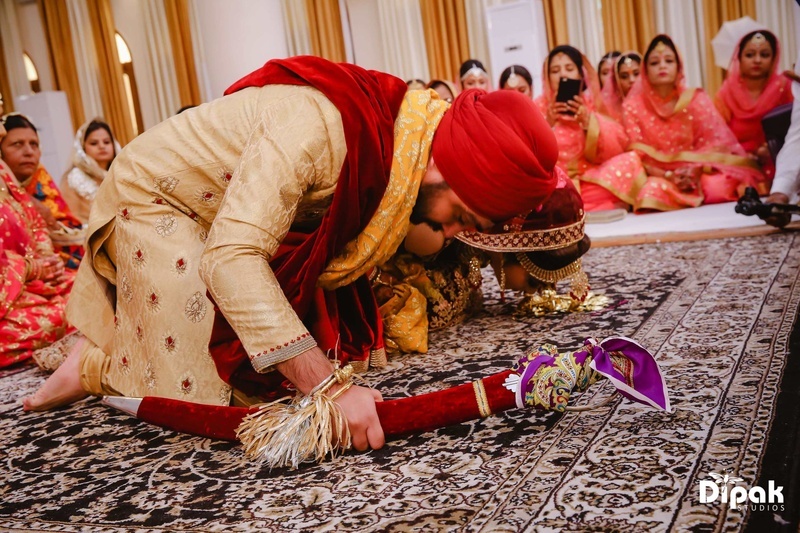 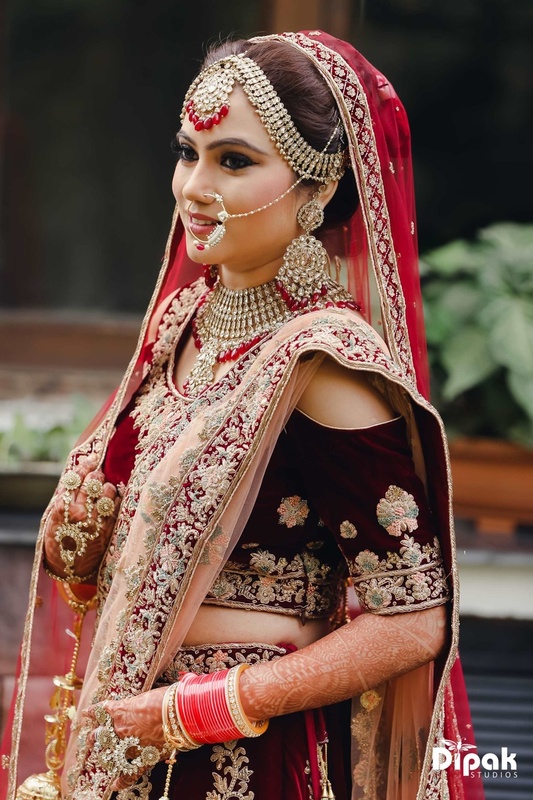 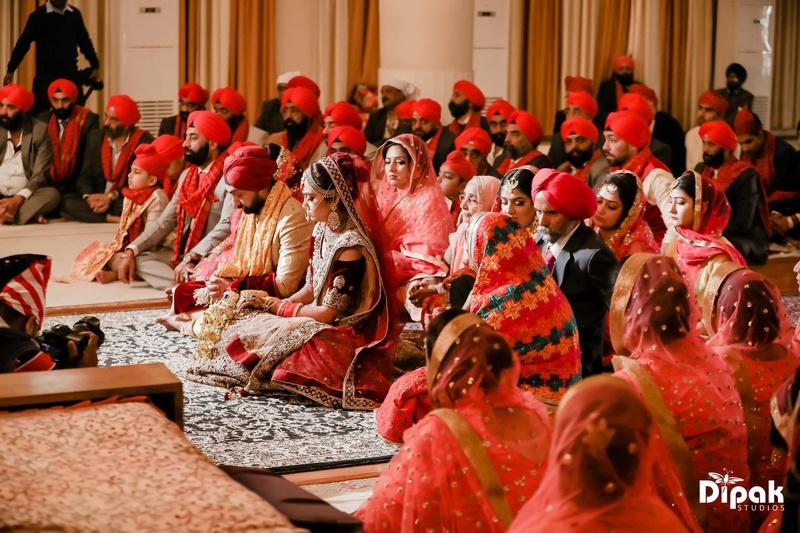 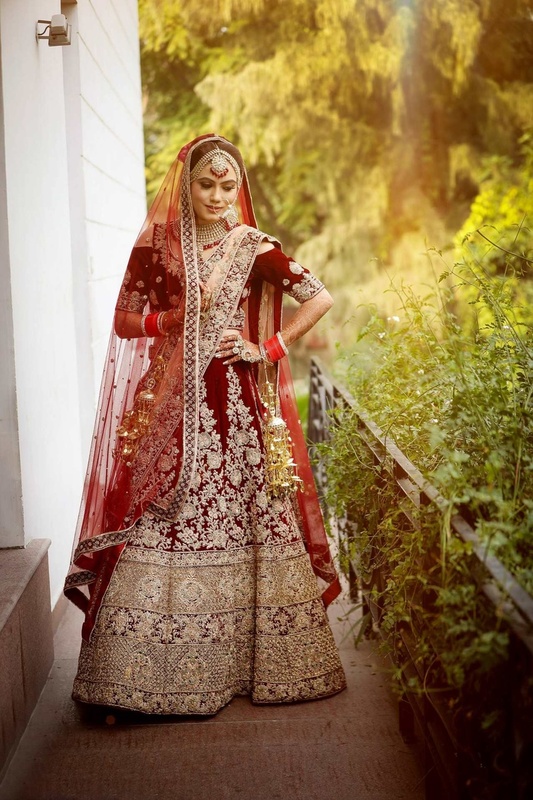 With a guest list of 200 of their closest friends and family, it was the perfect destination wedding where the bride wore a wine red lehenga for the gurudwara wedding. 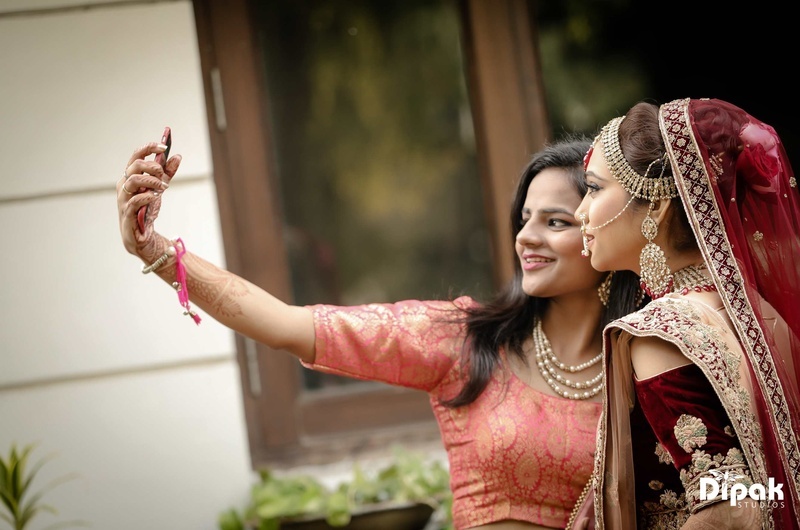 Clicked perfectly by Dipak Studios, the photos clearly showcase the simplest way to have a grand wedding with the closest people in your life! 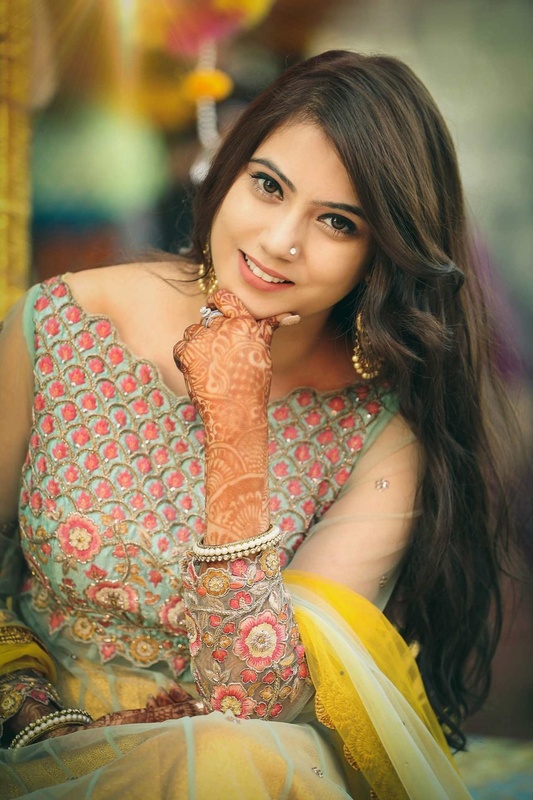 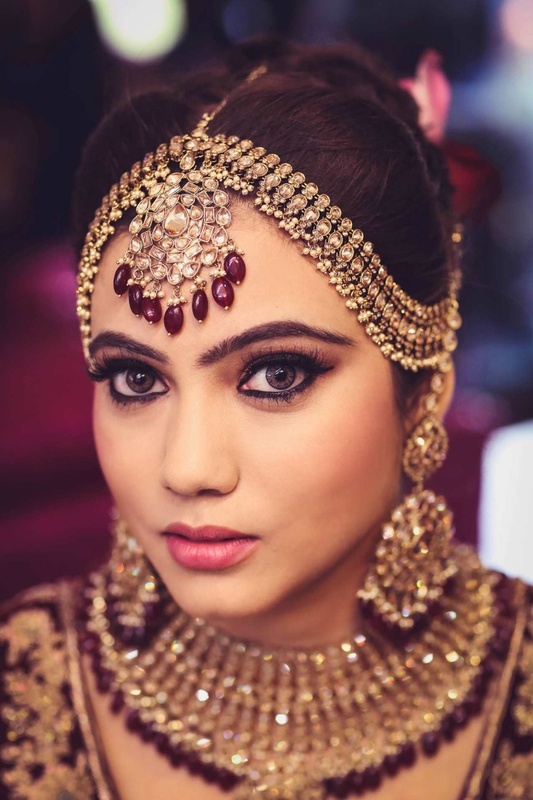 Manjot, the bride says "I chose Dipak Studios through a family referal. 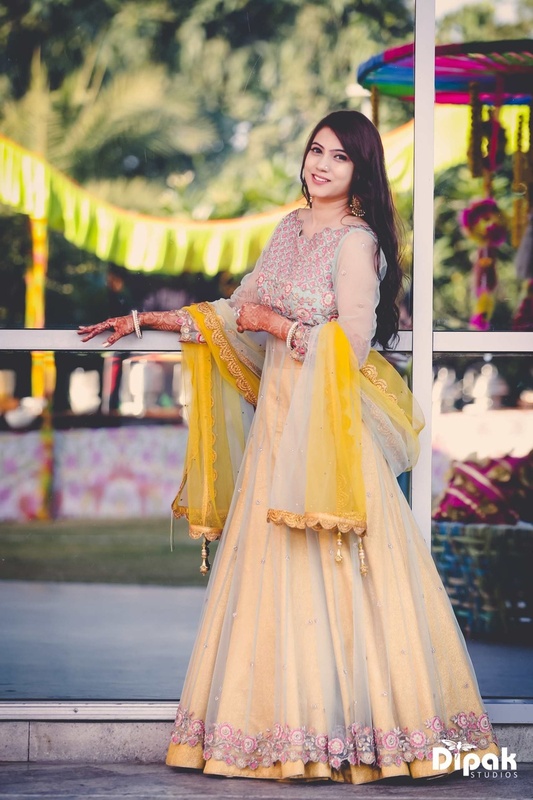 I fell in love with their work on Instagram and when my friend who had hired them previously told me about them, i was convinced! 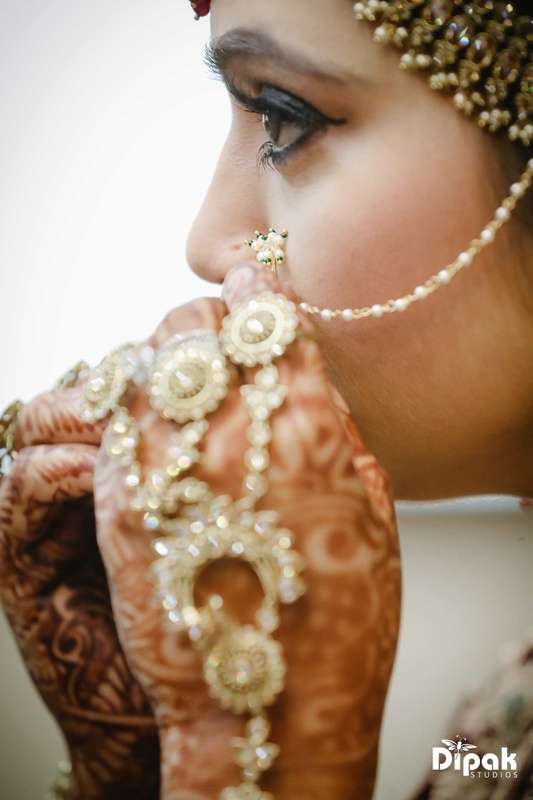 They made me feel calm and comfortable, capturing the moments perfectly"